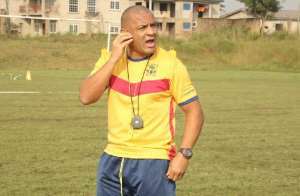 Accra Hearts of Oak head coach, Kim Grant, says he has began an ambitious long term project that will ensure the club become Ghana’s Premier League champions again and a regular candidate in the continent club competitions. “My long term plan is to be successful, win the league, get into CAF competitions, and be good, progressive each year after I’ve built the foundation that we can have a long term sustainability of being in that competition every year. It’s not about me but for the players to start trusting each other, which is vital, play as a team and not as individual because it is not an individual game,” Coach Grant said.